The CIHR Training Program in Neurodegenerative Lipidomics is a trans-institutional program and collaborative initiative between an interdisciplinary team of researchers at the University of Ottawa, Carleton University, the University of Toronto, Sunnybrook Health Sciences Centre and the Ottawa Hospital Research Institute. 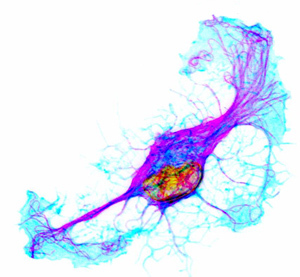 The program applies a targeted systems approach to integrative research that promotes and facilitates cross-disciplinary training and knowledge exchange in order to stimulate new insights to advance critical research in neurodegenerative lipidomics. 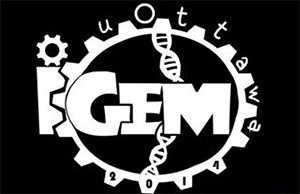 iGEM is short for International Genetically Engineered Machines Competition. It is an undergraduate synthetic biology competition held each year that attracts hundreds of universities worldwide. The OISB synthetic biology lab of Mads Karen is the advisor and lab host for the uOttawa iGEM team. Unique in Canada, this is an integrated training program for undergraduates, graduates and post-doctoral fellows, which brings together physical scientists, engineers and medical researchers to create an interdisciplinary effort in quantitative life science and technology. Computational Biology and Bioinformatics involves the application of computational methods to understanding biological data, especially molecular biological data. As a field of research, it crosses traditional disciplinary boundaries of computer science, chemistry, biology, biochemistry, engineering and the medical sciences. The OICBB is a collaborative program leading to a Master of Science or Master of Computer Science degree with a specialization in Bioinformatics.